This will be the first of a few reviews covering the various places in New York and Pennsylvania we traveled to in June. 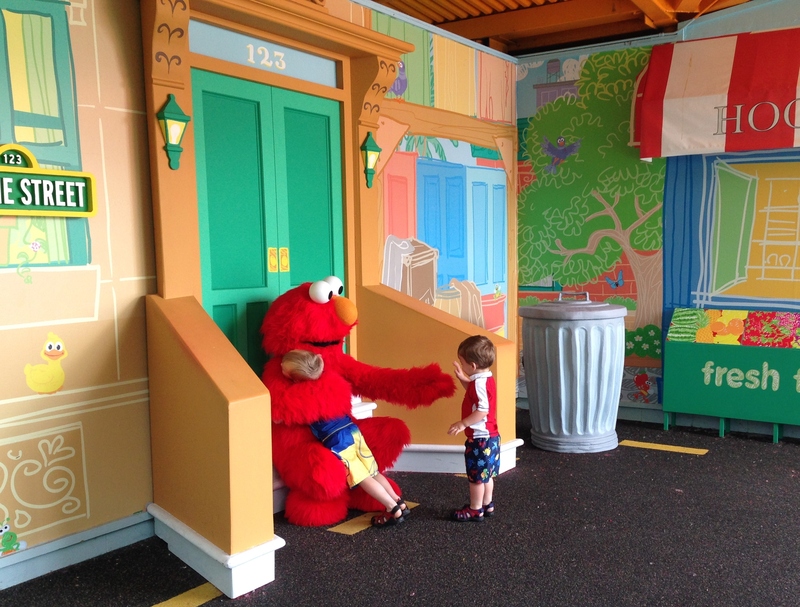 I wrote a preview of Sesame Place based on our previous visits roughly two months back. This, therefore, is more of an update than a complete review. We had a wonderful trip to Sesame Place. Once again we purchased a standard ticket which gained us two days entry to the park. I did, this time, have a few “free” passes which I’d “purchased” via my Pampers diapers points so we did not need to actually purchase tickets for everyone. We had intended to be there Friday & Saturday, with Sunday in Philadelphia, but it rained hard on Saturday so we chose to go to Philadelphia instead and Sesame Place on Sunday. The weather both Friday and Sunday was lovely – warm enough to enjoy the water rides, but not so hot as to be unbearable. In general we enjoyed the changes to the park. The biggest downside was that the cargo nets have been replaced by the Monster Clubhouse, which is not nearly as interesting. In fact, my guys weren’t interested in visiting it the second day. But, the new rides underneath were enjoyed by all and a definite improvement to the dated climbing structures that were there earlier. That being said, they’re obviously not quite done because while Big Bird’s Balloon Race has been renamed Flying Cookie Jars and the balloon tops have been repainted, the bottoms are original and should be redone to look like cookie jars. Moving through the park we didn’t observe any other significant changes. Now the twiddle bug areas look the most in need of revamping as the Twiddle Tracks and Silly Sand Slides feel dated. The boys did take in more of the water slides, which were much enjoyed, as they are now older, taller, and better swimmers. The younger two and I took in two shows – Elmo Rocks! and Elmo the Musical! (which were new to us and quite good) as well as Let’s Play Together! which we did last time also. We also enjoyed the parade both days and got photos taken with Big Bird and Elmo. The food remains fairly dull amusement park fair. We ate lunch at Captain Ernie’s Bistro both days. The weather was nice for outdoor seating and it avoids the pitfalls of going indoors – tables set for 4 and little stroller space. In summary, a positive trip, though we’re reaching the point where two days may no longer make sense if we can figure a way to get enough one day tickets.